If you’re thinking of serving soup for dinner – go no further. You have found your go to Butternut Squash Soup recipe! I love this marriage of squash and fruit, and since both butternut squash and pears are late fall foods, what makes better sense? Not much. Try it as the prelude to the majestic turkey to come and it is sure to be a major hit! 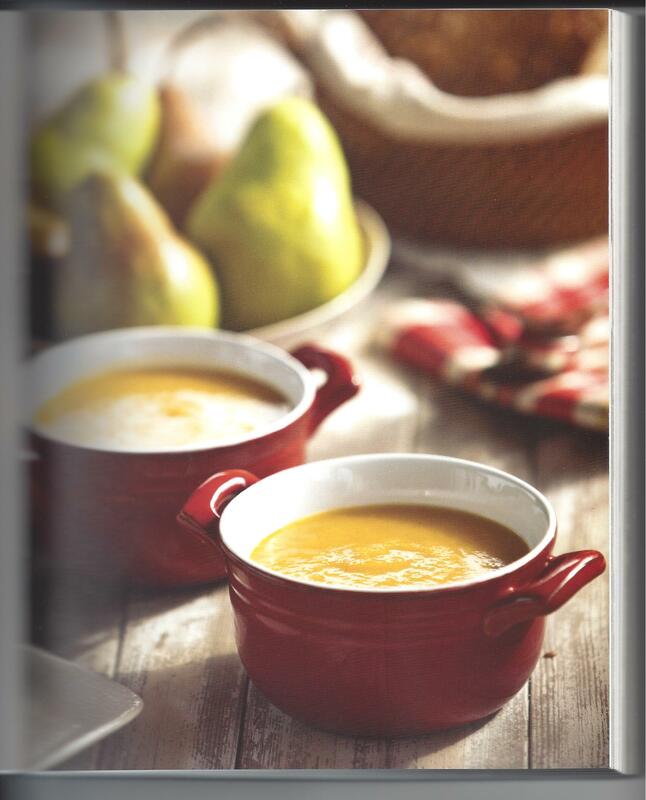 When the weather turns crisp and cool in the autumn, you can find me at farmers’ markets demonstrating how to make this perfect fall soup, which is always a crowd-pleaser both at the markets and Aux Delices. Everyone is mad about butternut squash soup, and this one stands out, although you can make it with other fall squashes with tasty results. The pears enhance the squash’s natural sweetness and the dash of cinnamon brings it home. Just right for a chilly day. I often use squash that’s sold already peeled and cut to make life easier. In a large soup pot, melt the butter over medium heat. When the butter begins to bubble, add the carrots, celery, and onions and cook for 10 to 12 minutes, or until softened without browning. Add the squash and pears and stir to mix with the vegetables. Add the stock and cinnamon and bring to a boil over medium-high heat. Reduce the heat and simmer for 25 to 30 minutes or until the squash is tender when poked with a fork. Transfer the soup, in batches, to a blender and process until smooth, or blend with an immersion blender. Return the puréed soup to the pot and season with salt and pepper. Reheat, if necessary, and serve hot.